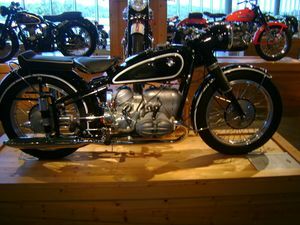 The R68 was BMW's first post-war sports twin. Capable of sustained speeds of 100mph or more, it changed BMW's image from that of building well engineered but unexciting machines. 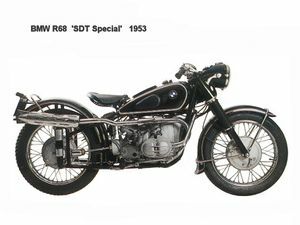 With only 1,453 examples produced from 1952 to 1954, the R68 is an extremely rare machine.